We have chosen 1983 as representing the end of the "real" cars in racing. From 1984 forward, tubeframe construction was much more the rule. 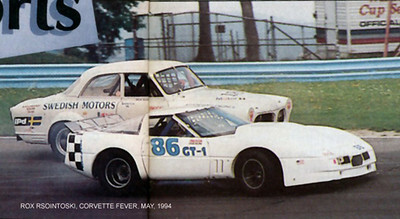 This distinction had its spillover into the SCCA club racing scene, as many contestants wuld buy older race cars and update them to SCCA rules...expecially for GT1 category. In the late 1980s, the ARRC title was also dropped but the “run-offs” continue in good health through the present. Commencing with 2006, the Runoffs were hosted at Heartland Park Topeka (KS). The year 2007 was the 44th Annual Runoffs®.